Legendary firearms engineer Merle “Mike” Walker passed away on March 6, at the age of 101. 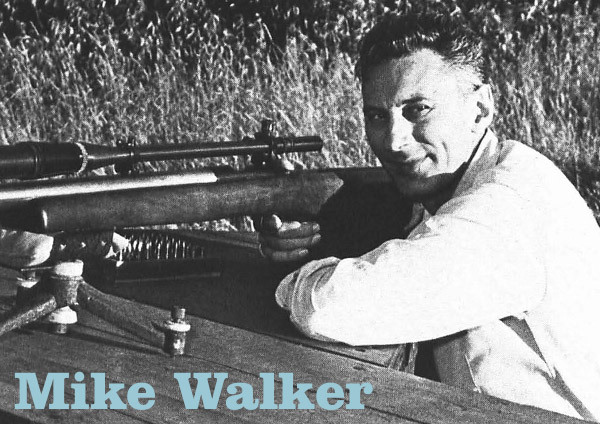 Walker was one of the most important gun and cartridge designers of the 20th Century, and he also was a leading proponent of benchrest shooting. Mike worked for Remington Arms Company for 37 years, as a lead designer and engineer. While at Remington, Mike created many of Remington’s most popular bolt action rifles. For many years, Mike served as Director of Research and head of the Custom Shop at Remington’s, Ilion, NY facility. Mike led the development of many important Remington rifle designs, including the Rem m700, Rem 40X, Rem m721, and Rem m722. Walker held numerous patents, mostly for trigger designs. Mike was a major pioneer in modern cartridge design — he was the originator of the .222 Remington and the 6mm Remington Int’l rounds. According to Guns & Ammo: “Long-time Remington employee and benchrest competitor Mike Walker, who headed up the M722 design team, is largely credited with the development of the .222 Rem”. The .222 Rem (aka “Triple Deuce”) dominated short-range Benchrest competition until the advent of the PPC cartridges. Walker also worked with Jim Steckl on the .30-cal wildcat that eventually evolved into the 6mm Bench Rest Remington. This cartridge demonstrated the accuracy and efficiency of the “short, fat” case design. 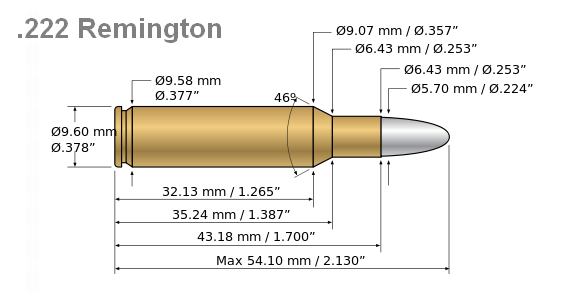 When brass was eventually produced for the 6mmBR Rem, Mike convinced Remington to produce a run with a small primer pocket. Thanks to these pioneering efforts by Walker and Steckl, we now have the ultra-accurate 6mmBR Norma (with a small primer pocket), and the 30BR wildcat. Mike was one of the “founding fathers” of the International Benchest Shooters (IBS), and he was in the early IBS leadership group. He was a talented (and dedicated) benchrest shooter. 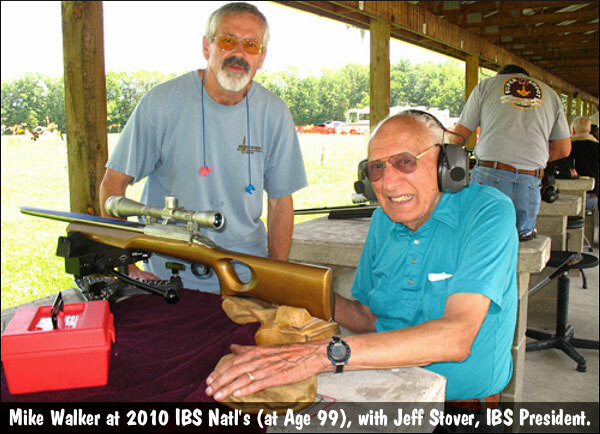 Remarkably, Mike shot in the 2010 IBS Nationals at age 99. Mike also played an key role in the creation of Precision Shooting Magazine. Still engaged in his passion for gun-building and firearm design, he worked in his shop even at the age of 101. He passed in a hospital on March 6, 2013 after hip replacement surgery. Mike Walker will be missed. As James Mock has written: “We in the shooting community are truly diminished. Mike was an icon of the innovative spirit of America.” Mike Walker was a true pioneer who has left an enormous legacy to all those engaged in the “pursuit of accuracy”. Rest in Peace, Mike Walker. Thank you for your contributions to our sport. Can Your Rifle Beat This XP-100 Pistol for Accuracy? Share the post "Mike Walker, Remington Gun Designer, Passes at Age 101"
Although I never met Mike, he was one of my mentors. I will always remember him as a prime architect in the accuracy department. We’re diminished! This is one great ledgend of a man. He will surly be missed. Anyone that has lived as long as he did, and accomplished as many things as he did, I would truly consider truly blessed. RIP “Mike” Merle Walker. Mr. Walker was a great and long-time friend of my grandfather’s from the 1920’s until his death in the early 80’s. I met him several times as a child and young man and very fortunately inherited a .222 bench rest rifle that he built for my grandfather in the late 60’s. The trigger is superb. I ran across this thread as a result of googling Mr. walker as my mother and I have been reviewing old photos and there were several with Mr. Walker, my grandfather, and their rifles from the 1930’s in the group. While I have no recent connection, he was a valued friend of my grandfather, which, for me says a lot about the man. I had never heard the name Mike Walker until today. A friend of mine just gave me a 1st edition of The Accurate Rifle signed by Warren Page. Who has for many years been not only a friend but a guide and mentor though the benchrest maze. This is not a post. Do not put it up. I need some help getting this book in the right place. Gimme a shout at (864)993-0302 when you get a chance.